As the summer heats up, you may find yourself itching to take that road trip or beach vacation you’ve been dreaming about all winter long. Before you pack your bags, the kids and the car, make sure your home is kept safe by following these steps! A key indicator that you’ve left a vacant house behind is a pile of papers in the driveway or an overflowing mailbox. Call the post office and your newspaper delivery service to pause all deliveries to your address until your return. If you are expecting packages to come while you are on vacation, register with the carrier (typically UPS or FedEx) to have your things held at a pickup facility until you are able to retrieve them. A constantly dark house is another sign that there is an empty house in the middle of your neighborhood. Putting strategic lights around your home on timers at random intervals give the appearance that someone is home without leaving lights on all the time during your vacation, driving up your electric bill. Most timers are fit to standard outlets and can be used on lamps, televisions, and radios in order to provide additional ambiance. Newer timers may even have the option to be controlled right from your smartphone. Prior to leaving, double check every entryway on your property to make sure they are locked and secured. Even if you leave higher windows unlocked during the day, double check the locks for your vacation. You don’t want to come home to find that a cat burglar scaled a tree or used a ladder to gain access to your home while you were away, and leaving your shed unlocked can leave your tools open to being used to break in. Do you have a spare key somewhere on your property? If it is under your welcome mat, buried inside your mailbox or stashed away in a fake rock, it is time to move it to a more secure location. These are the first places an intruder will look for a key, and they may take their time to search if they know you’ll be away. If you want to leave a spare key for a cleaning service or petsitter, consider installing a key lock box on the side of your home. The key will only be accessible by typing in a code of your choosing and can be quickly and easily changed. 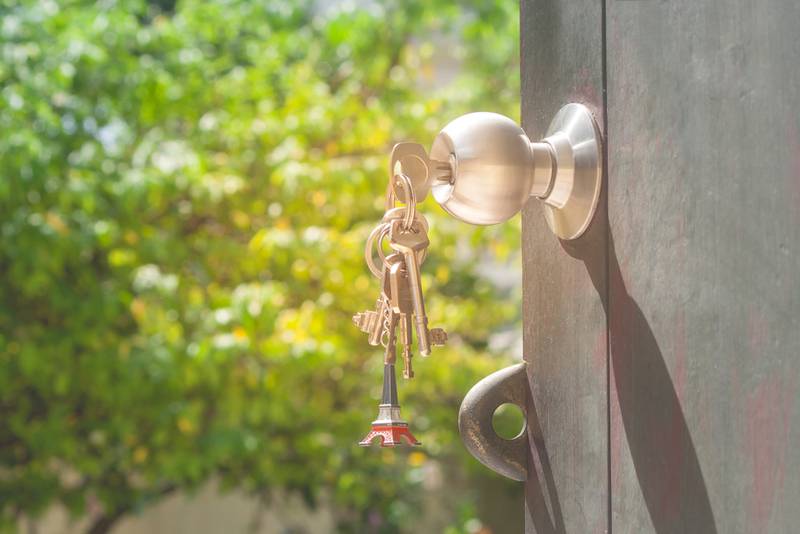 If you are looking for ways to improve your locks before going on vacation or find yourself locked out upon your return, contact Bedford Lock & Key today! We will assess your home’s entry points and take note of any vulnerable areas that can use improvement. Bedford Lock & Key can be reached by calling 781-275-1597 or by filling out our online contact form.